The Bralo BM-92 is a lever tool designed for professional use, both in and outdoors. It is the appropriate tool for those applications where the user does not have enough space to manoeuvre. 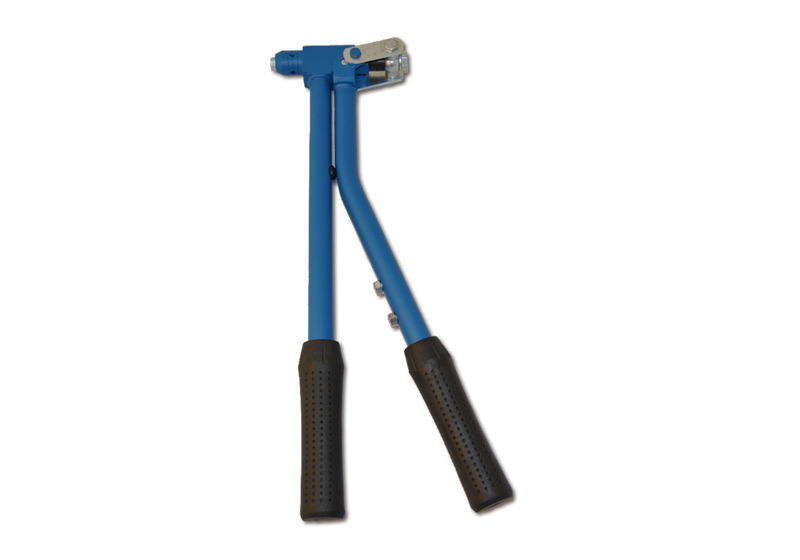 The main body, the levers and the anchoring are made of the highest quality steel, providing the tool with a great resistance and durability. Very useful for fixing elements in narrow and long places (440 mm length). Riveting capacity of up to 5.0 mm. and 6,0 mm. aluminium. Only one of the lever can be moved, which makes it easier to use in reduced spaces. Solid, safe and easy-to-use tool. Application field: Up to 5,0 mm and 6,0 mm in aluminium. The Bralo BM-92 riveting tool is available packed in a protective box.